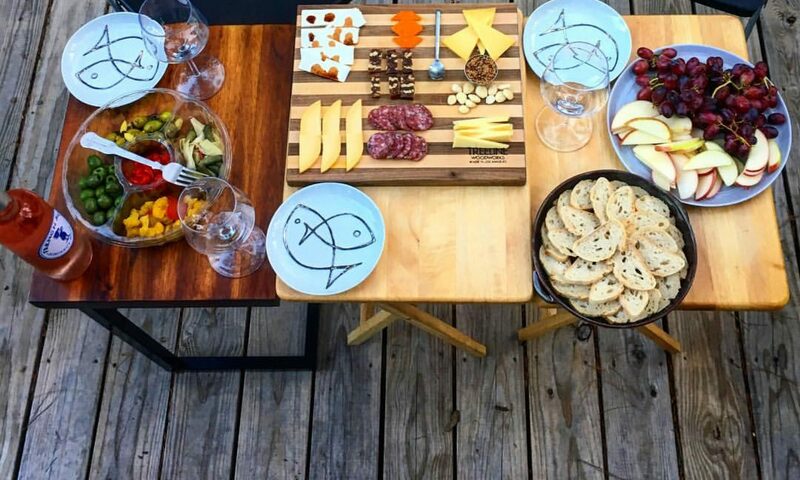 Since we’ve been traveling, we haven’t posted a recipe in over a week! 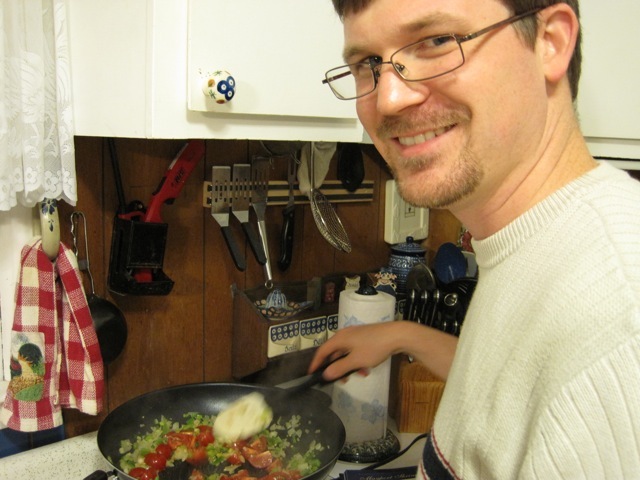 The pictures below are from our 2009 Georgia Christmas, but I figured the recipe was appropriate given the delicious shrimp and grits we had last weekend while on vacation. Start by melting a combination of olive oil and butter in a skillet over medium heat. Once the oil and butter are heated, add some chopped vegetables. 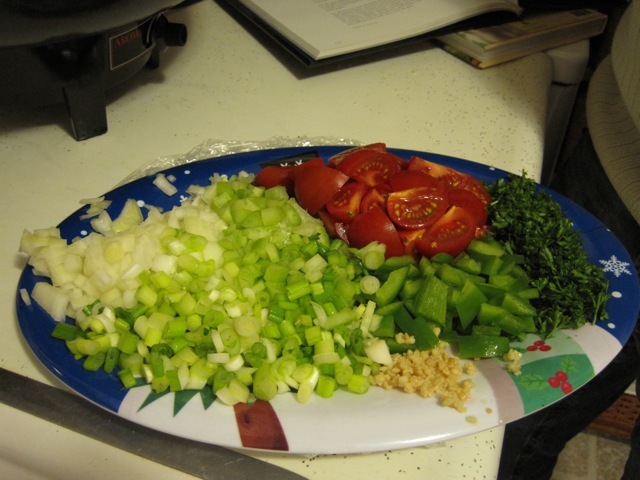 Pictured above (clockwise from the top) are halved cherry tomatoes, chopped parsley, diced green peppers, minced garlic, chopped celery, and diced yellow onion. 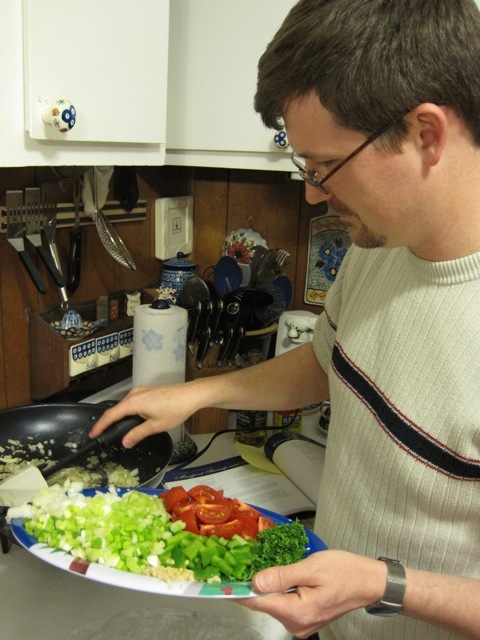 In order to make sure the vegetables cook evenly, add the garlic and onion first and cook until soft and translucent. 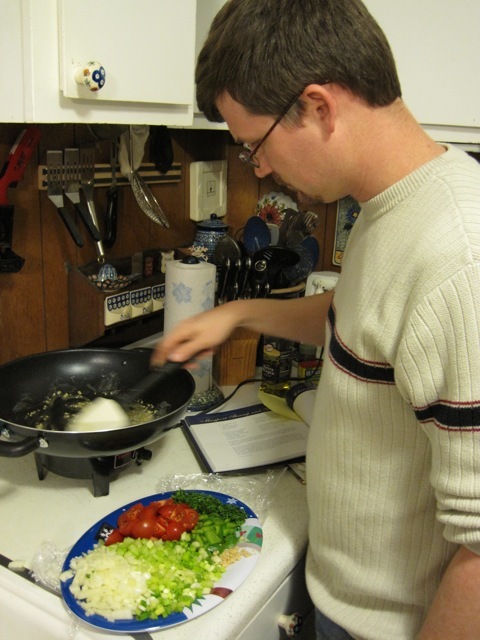 Then add the celery and green pepper and cook until softened but not mushy. Finally add the tomatoes. Hold off on adding the parsley until the end. Add about a pound of peeled, deveined shrimp. Cook for a few minutes until the shrimp are pink and cooked through. 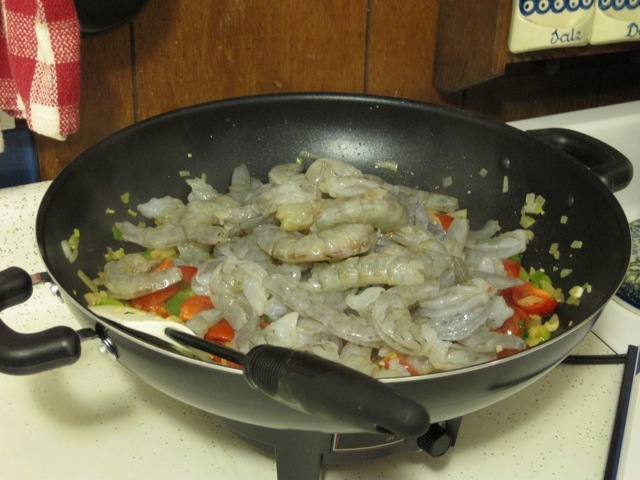 How long you cook the shrimp will depend upon the size of the shrimp you are using. For medium shrimp, it takes about 4 – 5 minutes. Sprinkle with parsley. Cook four servings of grits according to the package directions, adding cheese (we used smoked gouda) and cream to taste. Adding some cream at the end is the secret to creamy, yummy grits. 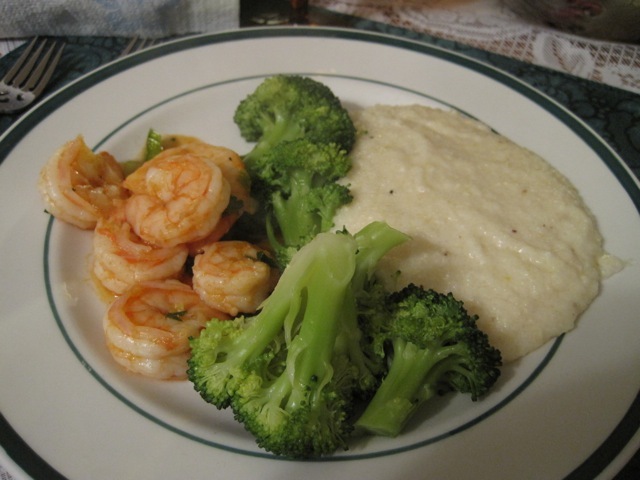 Serve the shrimp and veggie mixture on top of hot grits (or on the side, if you are like me) with a green veggie (steamed broccoli, a spinach salad, or whatever you like best).